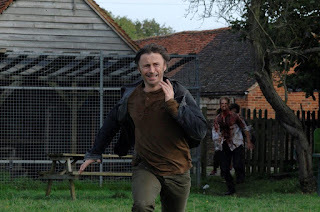 April on Horror Channel sees an INFECTION SEASON spread across Saturday nights with a highly contagious collection of outbreak action, headed by the network premieres of Danny Boyle’s 28 DAYS LATER and the equally impressive sequel 28 WEEKS LATER, starring Robert Carlyle. There are also welcome re-showings for Breck Eisner’s critically-acclaimed remake of George Romero's 1973 movie, THE CRAZIES, and M. Night Shyamalan’s boldly unsettling survival movie THE HAPPENING. Fans of Anthony Perkins and the Psycho franchise are in for a treat as Sunday nights at 9pm are devoted to the network premieres of PSYCHO II, PSYCHO III and PSYCHO IV: THE BEGINNING. Other network premieres include Jeff Wadlow’s violent slasher CRY WOLF, which has Jon Bon Jovi playing a spectacled teacher, Tobe Hooper’s colourful horror ride THE FUNHOUSE and Asif Kadadia’s supernatural terrifier THE RETURN, starring Sarah Michelle Gellar. Twenty-two years after the famous murder of Marion Crane, Norman Bates (Anthony Perkins) is declared sane and allowed to return to his now dilapidated motel. But, when the murders start up again, Norman realises an old friend is awaiting his return - Mother! Co-starring Meg Tilly, Robert Loggia, and Dennis Franz, this sequel to the Hitchcock masterpiece .is now viewed as a unmissable classic in its own right. In New York City’s subway tunnel, a new species of poisonous spiders is discovered. To make matters worse, the spiders quickly begin to mutate and grow to gigantic proportions before beginning to wreak havoc on the entire city. It’s up to a few scientists and military personnel to stop the deadly creatures, end their reign of destruction, and reclaim the city. Troubled runaway nun Maureen (Diana Scarwid) seeks refuge in the Bates Motel, only to trigger Norman’s killer instinct, as she reminds him of someone from his past…Anthony Perkins makes his directorial debut and gives another chilling performance as the deeply disturbed Bates in the third instalment of the Psycho series. In this terrifying thriller, a group of high school seniors decides to follow up a recent murder in the woods by creating a fictional serial killer they name ‘The Wolf’. It's all just a silly hoax until the real Wolf begins to hunt them. The cast includes Jon Bon Jovi and Gary Cole. Six months have passed since the rage virus annihilated the British Isles. The U.S. Army declares that the war against infection has been won, and that reconstruction of the country can begin. As the first wave of refugees returns, Don Harris (Robert Carlyle) and his wife Alice (Catherine McCormack) are reunited with their children but the virus is not yet dead, and this time it is more dangerous than ever. Released from a mental institution once again, Norman Bates (Anthony Perkins) calls in to tell his life story on a radio programme. Norman recalls his days as a young boy living with his schizophrenic mother (Olivia Hussey) and the jealous rage that inspired her murder. In the present, now living with his pregnant wife Connie (Donna Mitchell), Norman fears that his child will inherit his split personality disorder and "Mother" will return to kill again. In a post-apocalyptic future, The Kid (Munro Chambers) lives alone in his underground bunker, scavenging for relics from the old world and obsessing over comic books. But when he meets Apple (Laurence Leboeuf), it’s not long before The Kid has to face his fears and challenge the sadistic Zeus (Michael Ironside), who has declared himself leader of the “Wasteland” and taken control of the water supply. Armed with his ancient turbocharged weapon, he embarks on an incredible journey to rid the Wasteland of evil – and discovers the true meaning of justice and friendship. Sheriff David Dutten (Timothy Olyphant) and his pregnant wife, Judy (Radha Mitchell), find themselves trapped in a once-idyllic town they can no longer recognise. On the run from infected neighbours, loved ones and friends, targeted by the ruthless military and terrified of getting sick, they are forced to band together with other survivors in a desperate struggle for survival. A trashy carnival has pulled into town and thinking it would be fun, four teenagers decide to spend the night in the campy "Funhouse" horror ride, However, when they witness a murder by a deformed worker wearing a mask, they find themselves trapped and must evade the murderous carnival worker if they are to survive the night. Joanna Mills (Sarah Michelle Gellar) begins having terrifying visions of a woman's murder, and it seems that she is the killer's next target. Determined to solve the mystery and escape her apparent fate, she follows her visions to the victim's hometown and finds that some secrets just do not stay buried. Also stars Sam Shepard as her estranged father. 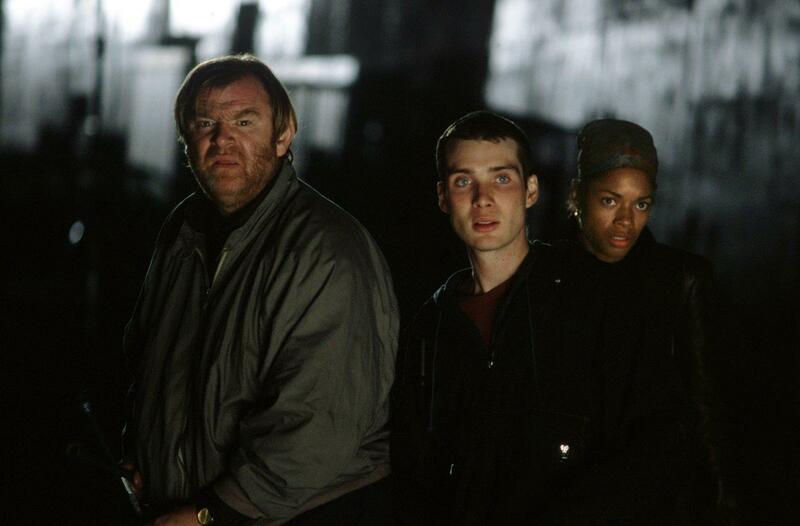 M. Night Shyamalan’s first R-rated film centres on an apocalyptic threat to humanity, which arrives with a series of violent, inexplicable deaths spreading across the country. The cause of the terrifying phenomenon remains unknown, prompting science teacher Elliot Moore (Mark Wahlberg), his wife Alma (Zooey Deschanel) and his colleague Julian (John Leguizamo) to try to elude the invisible killer in Pennsylvania's farmland. Soon it becomes clear that no one is safe.